After the remarkable international developments of the past two years, and following a year of heated domestic debate on issues such as foreign influence, energy, and immigration, this year’s Lowy Institute Poll, released on Wednesday, has observed both continuities and discontinuities in Australian public opinion. 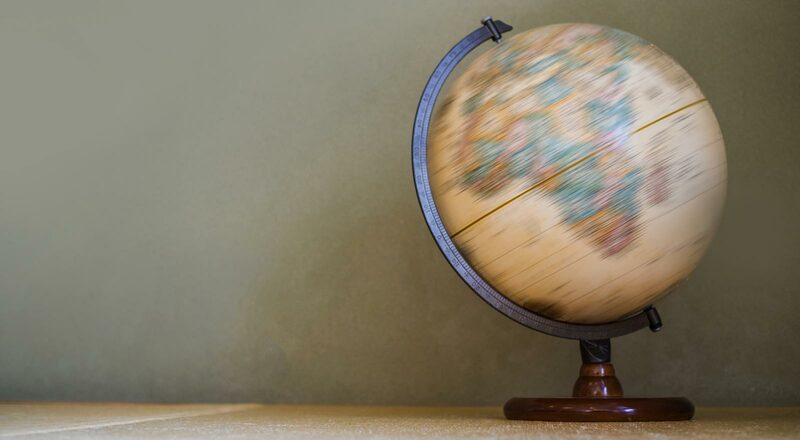 In the context of recent global disruptions – the vagaries of the Trump presidency, the escalation of North Korea’s nuclear program, and ongoing Brexit negotiations – it is not surprising that the 2018 Poll finds Australians still unsettled about the direction of the world. A striking 78% of adult Australians (almost unchanged from 2017) say they are “dissatisfied” with the “way things are going in the world today”. The Trump administration may well be a significant factor in this dissatisfaction: trust in the US has fallen to record lows. Only 55% of Australians say they trust the US to “act responsibly in the world”, a six-point fall from since 2017, a 28-point fall since 2011, and the lowest level of trust in the US recorded since we first asked this question in the 2006 Lowy Institute Poll. 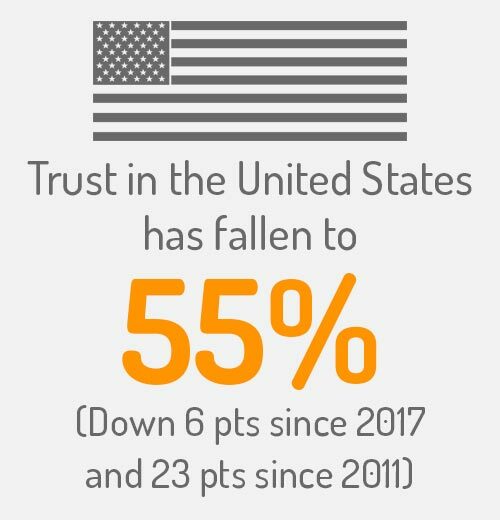 Trust in the US is well below trust in the UK (90%), Japan (87%), and France (85%), slightly behind India (59%), and at a similar level to China (52%). It is ahead of only Russia (28%) and North Korea (8%) among the eight nations polled on the trust question this year. Even more striking, only 30% of Australians have either “a lot” or “some” confidence in Trump “to do the right thing regarding world affairs”. This places Trump ahead of only Russian President Vladimir Putin (19%) and North Korean leader Kim Jong-un (5%) among the nine leaders polled, and well behind the UK’s Theresa May (68%), Japan’s Shinzo Abe (66%), Malcolm Turnbull (63%), and French President Emmanuel Macron (61%). Australians have more confidence in Chinese President Xi Jinping (43%) and in Indian Prime Minister Narendra Modi (37%) than they do in Donald Trump. However, other results suggest Australians are responding in a typically pragmatic fashion to the Trump administration. Support for the ANZUS security alliance holds firm, with 76% of Australians (statistically unchanged from 2018) saying the US alliance is either “fairly” or “very” important for Australia’s security. Almost two thirds (64%) of Australians say “Australia should remain close to the United States under President Donald Trump”. Pragmatism also characterises attitudes to China. 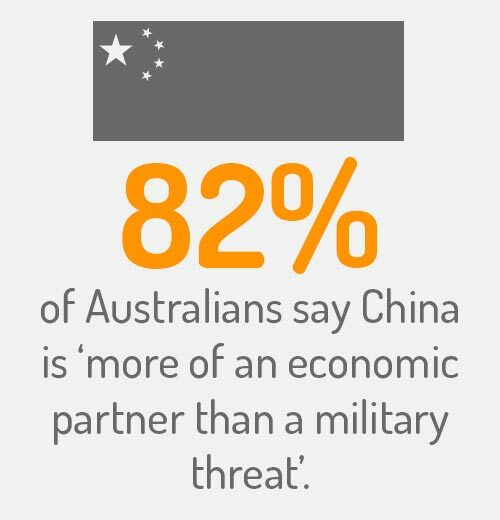 While 46% of Australians (unchanged from 2017) say it is likely that “China will become a military threat in the next 20 years”, 82% (up three points from 2017) say China is “more of an economic partner” than a military threat. And even though 77% of those who see China as a likely military threat say “China and the United States are likely to come into conflict in the future and Australia will end up being drawn into the conflict through its alliance with the United States”, most of those (81%) say it is “possible for Australia to have a good relationship with China and a good relationship with the United States at the same time”. Attitudes towards China are complex, however. On the one hand, Australians embrace the economic opportunities China presents. On the other hand, China’s military assertiveness and economic might seem to unnerve Australians. In the past year, public debate about China has turned to the issue of its influence in our political process. But Australians appear more worried about China’s investment than its influence. In a sharp rise, nearly three quarters of Australian adults (72% up 14 points since 2014) say the government is allowing “too much” investment from China. By contrast, only 41% of Australians see “foreign interference in Australian politics” as a critical threat to Australia’s vital interests. While the debate has focused on influence from China, only marginally more Australians (63%) expressed concern about China’s influence than about the influence of the US (58%). There has also been a sharp spike in anti-immigration sentiment. For the first time in our polling, a majority (54%, up 14 points) say that the “total number of migrants coming to Australia each year is too high”. Australians also appear to be questioning the impact of immigration on the national identity. A bare majority (54%) say “Australia’s openness to people from all over the world is essential to who we are as a nation”, but a substantial minority (41%) say “if Australia is too open to people from all over the world we risk losing our identity as a nation”. Such discontinuities and continuities have characterised Australian sentiment about foreign policy since the first Lowy Institute Poll in 2005. However, the big discontinuities the Poll uncovers this year suggest a sense of unease about what is happening beyond our shores, leaving us to wonder whether those continuities may become less dependable in the future.